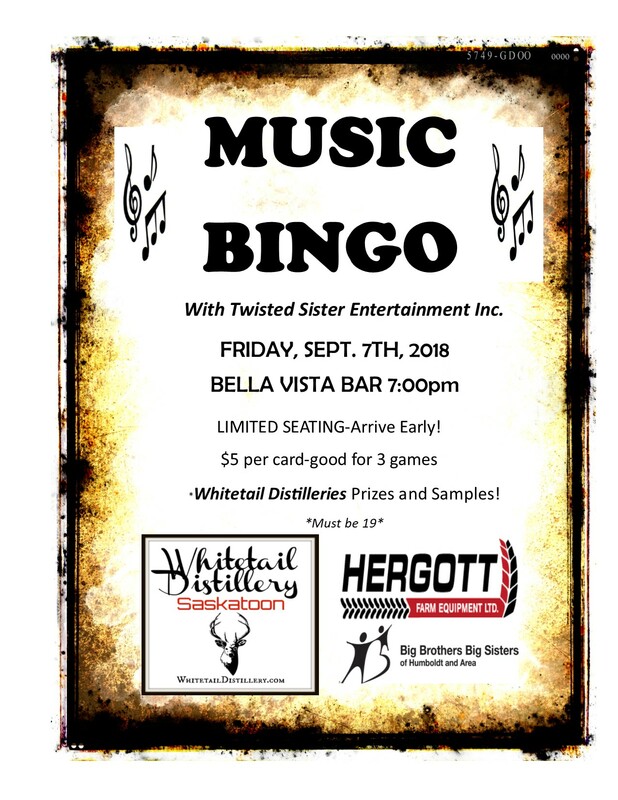 MUSIC BINGO with Twisted Sister Entertainment Inc.
There’s a new BINGO in town! Mark your calendars, dust off your dabbers and spread the word! Whitetails Distilleries will be providing samples and a few prizes! Hergott Farm Equipment is our card sponsor for the evening! Seating is limited-so arrive early and be prepared to laugh, sing and even dance! Must be 19 to attend (because of location).